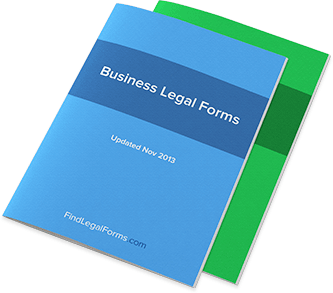 Business Legal Forms. High quality forms prepared by attorneys. A successful business requires not only a great product, a good team and publicity, it also needs the stability granted by thoughtful and high-quality business and legal documents. Our attorney-prepared business forms are designed for use in a multitude of business situations, and are crafted to include flexibility (almost all business situations include some degree of uniqueness) and a throughness to help you avoid future headaches. From in-depth general agreements and contracts to documents designed for specialized business transactions, we have what you are looking for. Forms requesting relavant information for use by any organization which screens applicants for membership. Forms designed for use when puchasing many different types of items from a logo to a yacht and more. Spanish forms (with English translations) for use in business including confidentiality agreements,asset purchase agreements and more. Purchase Agreement Agreement between a seller and a buyer who agrees to purchase certain products from the seller. Joint Marketing Agreement This Joint Marketing Agreement is designed for use in all states. This form is available for immediate download. Marketing Agency Agreement This Marketing Agency Agreement is designed for use in all states. This legal form is available for immediate download. Merchandising and Marketing Agreement This Merchandising and Marketing Agreement is designed for use in all states. This form is available for immediate download. Securities Filings and Investor Information Securities Filings and Investor Information containing forms which will assist in filing corporate reports with the Securities & Exchange Commission. Manufacturing Agreement Manufacturing Agreement for use in the United States. Agreement to Purchase Logo This Agreement is between the seller of a logo and a purchaser and sets forth all the rights transferred with the logo and purchase prices. Amendment to Purchase Agreement Agreement between a buyer and a seller amending the terms of their purchase agreement. Proprietary Process Sale Agreement - Long Form Agreement is between the seller of a proprietary process and a purchaser of this process, which also sets forth future royalty payments to the seller. Proprietary Process Sale Agreement - Short Form Agreement is between a buyer and a seller who has discovered a proprietary process. This agreement sets out the royalty payments to be paid to the seller. Finders Fee Agreement Agreement to seek out a business relationship, customer or investment on behalf of another. Sales Agency Agreement - Broker and Seller Agreement between a seller and a local broker to negotiate and procure sales for seller's products within an exclusive territory. Board of Directors Forms Combo Package Get 5 forms for just $39.95. Save 53%! Combo Package of our most popular Corporate Board of Director forms for use in all states. General Contractor Combo Kit Get 9 forms for just $39.95. Save 76%! Save money by getting all of our general contractor forms together in one convenient packet. Accounting Forms Combo Package Get 4 forms for just $39.95. Save 50%! Save money by purchasing our very popular accounting forms together in a convenient packet Business Plan Forms Combo Package Get 5 forms for just $14.95. Save 85%! Save money by getting our very popular business plan forms together in one convenient packet. Mover's Forms Combo Packet Get 2 forms for just $39.95. Save -0%! Save money by purchasing the Moving Services Agreement and Mover's Inventory Form together in a convenient packet. For use in all states. Sales Representative & Distribution Agreement Combo Packages Get 7 forms for just $39.95. Save 71%! Package containing forms most often used when engaging sales representatives or distributors. This combo includes exclusive and non-exclusive distribution agreements, sales agency agreements and a general... Business Letter Forms Combo Packages Get 9 forms for just $7.99. Save 71%! Save Money by getting our popular Business Letter forms together in one convenient packet Corporate Shareholder Forms Combo Package Get 5 forms for just $39.95. Save 53%! Save Money with this combo package containing our popular Corporate Shareholder forms. Corporate Forms Combo Package Get 10 forms for just $39.95. Save 77%! Combo Package of our most popular Corporation Forms for use in all states. Corporate Startup Forms Combo Package Get 10 forms for just $39.95. Save 79%! For use when starting a corporation. Forms include bylaws, S-corporations, pre-incorporation, articles of incorporation, stock certificates and meeting kits. Receipt Forms Combo Packages Get 4 forms for just $39.95. Save 50%! Prepared by our experienced attorneys, this package takes the guesswork out of drafting receipts. This package provides an array of attorney-prepared receipts including those for goods, accounts, paid in... Sales & Purchase Notice Form Combo Packages Get 10 forms for just $39.95. Save 79%! Everything you will need to provide notice of a sale or purchase of goods. Our attorneys have prepared model notice of acceptance of order, breach of contract, cancellation of purchase, refusal to accept... Business Owner Consultant Combo Packages Get 5 forms for just $39.95. Save 60%! Package containing some of the most frequently used forms by businesses who hire consultants. Included are service agreements for accounting, general consulting and technology consulting on both an ongoing... Marketing Advertising Combo Package Get 8 forms for just $39.95. Save 47%! This Marketing Advertising Combo Package is designed for use in all states. This combo package is available for immediate download. Asset Purchase Combo Package Get 6 forms for just $39.95. Save 65%! Asset Purchase Combo Package for use in all states. Sale of Business Combo Get 8 forms for just $39.95. Save 69%! This Sale of Business Combo Package contains all our popular related forms. The business partnership is both an intimate and complicated relationship – intimate in the fact that you’re making your money available and open to someone else, complicated for the very same reason. Money is a powerful tool and can be used to create great companies…or bring down many a business partnership when one or two things go wrong. The key to establishing a great business relationship is to set it on solid footing from the beginning – in other words, to put it into writing. This can be accomplished by using the right business agreements from the beginning. And what constitutes a business partnership agreement? That’s exactly what we’re going to explore. The first thing to establish in a business agreement is a corporate structure that you can all get behind. Whether you’re forming an LLC or an S-Corp, it’s important that all the people involved agree to the corporate structure in place when a new company is starting. From there the corporate structure will create a framework for expansion as the company takes off, thus keeping things correctly “on the books” and organized tightly. Many business partners find that finding their niche within the corporate structure of a company alone is a great way to ensure a positive working relationship. Of course, not every business partnership is established in order to create a new company. In many cases, people enter into business together in order to achieve a number of goals – and that might mean acquiring a number of assets or even starting a number of companies. In this more complicated relationship, a joint venture agreement might be more appropriate for the parties involved – it will establish the ground rules for the amount of money that’s invested and let everyone involved know what their share is. These joint ventures can then include a number of business actions that might exist out of a more traditional corporate structure but make more sense for business partnerships that require a greater deal of flexibility. The key for joint venture agreements is to make sure that all business is settled between the partners before the papers are signed. If one partner is upset with the conditions of this agreement at the outset, it has the potential to create future conflicts that will have to be addressed under the context of having already signed an agreement. In business relationships the negotiation is one of the most important pieces of the puzzle. Negotiations for asset acquisition, for example, can be highly contentious and have ramifications that far exceed the imaginations of those people involved. Standstill agreements are contracts in which the parties involved agree not to talk to other parties about the same transaction to other parties. In short, the Standstill is like making a negotiation exclusive. Whatever your business relationship, you need to make sure that the forms you sign match precisely with the form your relationship will take in the future. But make sure you like the arrangements in their present form in whichever agreement you sign because those agreements will be ironclad for many years to come. Account: A separate record of an asset, liability, income, or expense of a business. Accounting: The process for recording, summarizing, and interpreting business financial records. Accounting method: The method of recording income and expenses for a business; can be either accrual method or cash method. Accounting period: A specific time period covered by the financial statements of a business. Accounting system: The specific system of record-keeping used to set up the accounting records of a business. See also single-entry accounting or double-entry accounting. Accounts payable: Money owed by a business to another for goods or services purchased on credit. Money that the business intends to pay to another. Accounts receivable: Money owed to the business by another for goods or services sold on credit. Money that the business expects to receive. Accrual method: Accounting method in which all income and expenses are counted when earned or incurred regardless of when the actual cash is received or paid. Accrued expenses: Expenses that have been incurred but have not yet been paid. Accrued income: Income that has been earned but has not yet been received. ACRS: Accelerated Cost Recovery System. Generally, a method of depreciation used for assets purchased between 1980 and 1987. Aging: The method used to determine how long accounts receivable have been owed to a business. Balance sheet: The business financial statement that depicts the financial status of the business on a specific date by summarizing the assets and liabilities of the business. Balance sheet accounts: Asset and liability accounts used to prepare business balance sheets. Balance sheet equation: Assets = Liabilities + Equity, or Equity = Assets – Liabilities. Board of directors: The group with control of the general supervision of the corporation. They are elected by the shareholders and the directors, in turn, appoint the officers of the corporation. Bookkeeping: The actual process of recording the figures in accounting records. Business corporation laws: For each individual state, these provide the legal frame- work for the operation of corporations. The Articles of Incorporation and the Bylaws of a corporation must adhere to the specifics of state law. Business liabilities: Business debts. Also the value of the owner’s equity in his or her business. Bylaws: The internal rules that govern the management of the corporation. They contain the procedures for holding meetings, appointments, elections and other management matters. If these conflict with the Articles of Incorporation, the provision in the Articles will be controlling. C-corporation: A business entity owned by shareholders that is not an S-corporation. Subject to double taxation, unlike S-corporations. Calendar year: Year consisting of 12 consecutive months ending on December 31st. Capital: Initially, the actual money or property that shareholders transfer to the corporation to allow it to operate. Once in operation, capital also consists of accumulated profits. The net worth of the corporation, the owner’s equity in a business, and/or the ownership value of the business. Capital surplus: Corporation owner’s equity. See also retained capital. Cash: All currency, coins, and checks that a business has on hand or in a bank account. Cash method: Accounting method in which income and expenses are not counted until the actual cash is received or paid. Cash out: Cash paid out for business purposes, such as a refund. Chart of Accounts: A listing of the types and numbers of the various accounts that a business uses for its accounting records. Check register: A running record of checks written, deposits made, and other transactions for a bank account. Cost basis: Total cost to a business of a fixed asset. Cost of goods sold: The amount that a business has paid for the inventory that it has sold during a specific period. Calculated by adding beginning inventory and additions to inventory and then deducting the ending inventory value. Credit: In double-entry accounting, an increase in liability or income accounts or a decrease in asset or expense accounts. Current assets: Cash and any other assets that can be converted to cash or consumed by the business within one year. Current debt: Debt that will normally be paid within one year. Current liabilities: Debts of a business that must be paid within one year. Current ratio: A method of determining the liquidity of a business. Calculated by dividing current assets by current liabilities. Debit: In double-entry accounting, a decrease in liability or income accounts or an increase in asset or expense accounts. Debt ratio: A method of determining the indebtedness of a business. Calculated by dividing total liabilities by total assets. Depreciation: Cost of fixed asset deductible proportionately over time. Dissolution: Methods by which a corporation concludes its business and liquidates. Dissolutions may be involuntary because of bankruptcy or credit problems or voluntary on the initiation of the directors or shareholders of a corporation. Dividend: A distribution of money or property paid by the corporation to a share- holder based on the amount of shares held. A proportionate share of the net profits of a business that the board of directors has determined should be paid out to shareholders, rather than held as retained earnings. Dividends must be paid out of the corporation’s net earnings and profits. The board of directors has the authority to declare or withhold dividends based on sound business discretion. Double-entry accounting: An accounting system under which each transaction is recorded twice: as a credit and as a debit. A very difficult system of accounting to learn and understand. Equity: Any debt that a business owes. It is owner’s equity if owed to the business owners and liabilities if owed to others. Expenses: The costs to a business of producing its income. Any money that it has paid or will pay out during a certain period. FEIN: Federal Identification Number, used for tax purposes. FICA: Federal Insurance Contributions Act. Taxes withheld from employees and paid by employers for Social Security and Medicare. FIFO: First-in, first-out method of accounting for inventory. The inventory value is based on the cost of the latest items purchased. Financial statements: Reports that summarize the finances of a business; generally a profit and loss statement and a balance sheet. Fiscal year: A 12-month accounting period used by a business. Fiscal-year reporting: For income tax purposes, reporting business taxes for any 12-month period that does not end on December 31 of each year. Fixed assets: Assets of a business that will not be sold or consumed within one year. Generally, fixed assets (other than land) must be depreciated. FUTA: Federal Unemployment Tax Act. Federal business unemployment taxes. General journal: In double-entry accounting, used to record all of the transactions of a business in chronological order. Transactions are then posted (or transferred) to the appropriate accounts in the general ledger. General ledger: In double-entry accounting, the central listing of all accounts of a business. Gross pay: The total amount of an employee’s compensation before the deduction of any taxes or benefits. Gross profit: Gross sales minus the cost of goods sold. Gross sales: The total amount received for goods and services during an accounting period. Gross wages: The total amount of an employee’s compensation before the deduction of any taxes or benefits. Income: Any money that a business has received or will receive during a certain period. Initial capital: The money or property that an owner or owners contribute to starting a business. Intangible personal property: Generally, property not attached to land that you cannot hold or touch (for example: copyrights, business goodwill, etc.). Inventory: Goods that are held by a business for sale to customers. Invoice: A bill for the sale of goods or services that is sent to the buyer. Issued shares: The number of authorized shares of stock that are actually transferred to shareholders of the corporation. Also referred to as outstanding shares. See also treasury shares. Ledgers: The accounting books for a business. Generally, refers to the entire set of accounts for a business. Liabilities: The debts of a business. LIFO: Last-in, first-out method of valuing inventory. Total value is based on the cost of the earliest items purchased. Liquidity: The ability of a company to convert its assets to cash and meet its obligations with that cash. Long-term assets: The assets of a business that will be held for over one year. Those assets of a business that are subject to depreciation (except for land). Long-term debts: Debts that will not be paid off in one year. Long-term liabilities: The debts of a business that will not be due for over one year. Long-term loans payable: Money due on a loan more than one year in the future. Long-term notes payable: Money due more than one year in the future. MACRS: Modified accelerated cost recovery system. A method of depreciation for use with assets purchased after January 1, 1987. Net loss: The amount by which a business has expenses and costs of goods sold greater than income. Net pay: The amount of compensation that an employee actually will be paid after the deductions for taxes and benefits. Net sales: The value of sales after deducting the cost of goods sold from gross sales. Net wages: The amount of compensation that an employee will actually be paid after the deductions for taxes and benefits. No-par value: Shares of stock that have no specific face value. The board of directors can assign a value to the shares for sale and can then allocate a portion of the sales price to the paid-in-capital account. Nontaxable income: Income that is not subject to any state or local sales tax. Officers: Manage the daily operations of a corporation. Generally consists of a president, vice president, secretary, and treasurer. Appointed by the board of directors. Par value: The face value assigned to shares of stock. Par-value stock must be sold for at least the stated value, but can be sold for more than the par value. Partnership: An unincorporated business entity that is owed by two or more per- sons. Payee: Person or business to whom a payment is made. Payor: Person or business that makes a payment. Perpetual duration: Existence of a corporation forever. Personal property: All business property other than land and the buildings that are attached to the land. Petty cash: Cash that a business has on hand for payment of minor expenses when use of a business check is not convenient. Not to be used for handling sales revenue. Petty cash fund: A cash fund. Considered part of cash on hand. Petty cash register: The sheet for recording petty cash transactions. Physical inventory: The actual process of counting and valuing the inventory on hand at the end of an accounting period. Plant assets: Long-term assets of a business. Those business assets that are subject to depreciation (other than land). Posting: In double-entry accounting, the process of transferring data from journals to ledgers. Pre-paid expenses: Expenses that are paid for before they are used (for example: insurance, rent, etc.). Real property: Land and any buildings or improvements that are attached to the land. Reconciliation: The process of bringing a bank statement into agreement with the business check register. Recovery period: Specific time period for dividing up the cost into proportionate amounts. Resolution: A formal decision that has been adopted by either the shareholders or the board of directors of a corporation. Retail price: The price for which a product is sold to the public. Retained capital: Corporation owner’s equity. See also capital surplus. Retained earnings: In a corporation, the portion of the annual profits of a business that are kept and reinvested in the business, rather than paid to shareholders in the form of dividends. Revenue: Income that a business brings in from the sale of goods or services or from investments. Salary: Fixed weekly, monthly, or annual compensation for an employee. Sales: Money brought into a business from the sale of goods or services. Sales income: Revenue derived from selling a product of some type. Salvage value: The value of an asset after it has been fully depreciated. Service income: Income derived from performing a service for someone. Service of process: To accept subpoenas or summonses for a corporation. Shareholder’s equity: In a corporation, the owner’s equity of a business divided by the number of outstanding shares. Short-term loans payable: Money due on a loan within one year. Short-term notes payable: Money due within one year. Single-entry accounting: A business recordkeeping system that generally tracks only income and expense accounts. Used generally by small businesses, it is much easier to use and understand than double-entry accounting. Straight-line depreciation: Spreads the deductible amount equally over the recovery period. Supplies: Materials used in conducting the day-to-day affairs of a business (as opposed to raw materials used in manufacturing). Tangible personal property: Property not attached to land that you can hold and touch (for example: machinery, furniture, equipment). Taxespayable: Total of all taxes due but not yet paid. Treasury shares: Shares of stock that were issued, but later reacquired by the corporation and not canceled. May be issued as dividends to shareholders. They are issued, but not outstanding for terms of voting and quorums. Trial balance: In double-entry accounting, a listing of all the balances in the general ledger in order to show that debits and credits balance. Wages: Hourly compensation paid to employees, as opposed to salary. Wages payable: Total of all wages and salaries due to employees but not yet paid out. Wholesale price: The cost to a business of goods purchased for later sale to the public.